This fully self contained villa nestled 150m from the beach in the Forte Cape View complex has modern finishes with reverse cycle airconditioning and can accommodate up to 8 people. This privately owned villa comprises three bedrooms and two bathrooms with quality linen supplied throughout. The master bedroom with queen size bed features an ensuite and TV, perfect for unwinding after a long lazy day at the beach or discovering the world class wineries. The second bedroom contains a queen size bed, with the third room containing two single beds and a double bunk, the perfect configuration for a family. You will find a spacious open plan kitchen, meals and living area, with enough space for everyone to relax with a DVD on the large screen TV, or alternatively walk out onto the adjoining outdoor entertaining area with barbeque and unwind with a glass of wine. 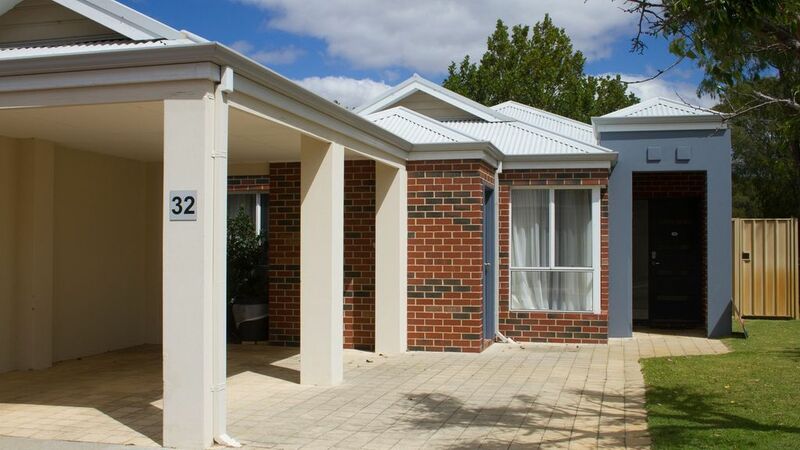 To make your stay even more enjoyable we have put together a comprehensive list of the local attractions, wineries & beaches that can be read whilst enjoying Geographe Bay Villa - Cape View. Guests have use of the indoor & outdoor pools, playground area, common area & facilities. Adjacent to the new pool there is a large grassed area shaded by lovely trees as well as a new children's playground which is also shaded by sails. Double BBQ's with seating also joins the new common area in the resort, as well as an indoor pool with adjoining spa. Within the reception area there is a well equipped air-conditioned gymnasium and next to that a games room to wind down after a fun-filled day. Everything covered to enjoy a lovely holiday in the Geographe Bay. This is a well maintained house in an excellent neighborhood. It has everything what we needed for our weekend stay. Getting more hooks to hang towels would be helpful. The house was clean and well equipped. The Cape View Resort is lovely with a huge pool that our kids loved, games room and spa. Walking distance to the crystal clear blue water of Geographe Bay. This beach is great for kids as it is so calm. Excellent for kayaking and paddle boarding if that's your thing. I would definitely recommend staying here.